ENERGY and Power Development Minister Dr Joram Gumbo has assured the nation of enough fuel supplies during the forthcoming festive season. In an interview on the sidelines of the just ended 2019 Parliamentary pre-budget seminar in Bulawayo, Dr Gumbo said his Ministry has also requested the Reserve Bank of Zimbabwe to increase the weekly fuel import allocation to $35 million from $20 million. "As we go into the festive season, there is enough fuel, what we need to look for is just forex. We have requested RBZ to bring it up to about $35 million a week from $20 million because the price of fuel on the international market keeps going up and down," he said. Early last month, international oil prices rose to a four-year high of $86,74 per barrel on fears United States sanctions on Iran, which took effect this month, would cause a one million-barrel decline in global production. Iran is the third-largest producer in the Organisation of Petroleum Exporting Countries. "As far as my ministry is concerned, we have got enough fuel stocks in the country and we continue to pump, we have not stopped pumping fuel in the country," said Dr Gumbo. In recent weeks, Zimbabwe experienced fuel shortages that Government has described as "artificial" and were blamed for creating a "false crisis". 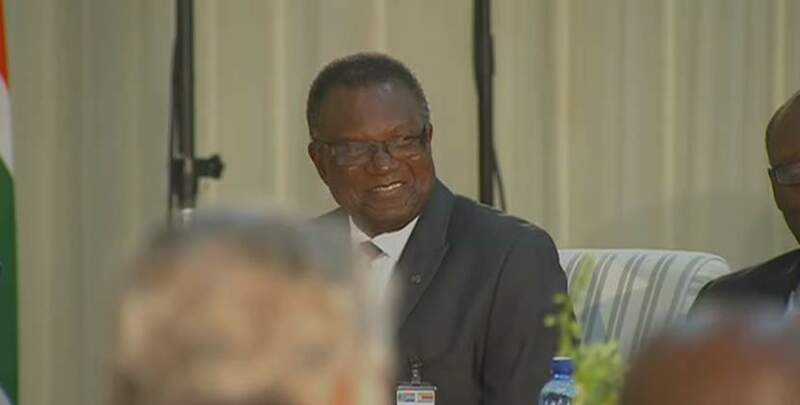 Dr Gumbo said the fuel situation has improved after his ministry engaged two international companies to supply fuel into the country under an arrangement that would see Zimbabwe procuring the fuel for 18 months and paying after use. "This is to complement what the Reserve Bank Governor is doing. The international companies are from Kuwait, the Independent Petroleum Group and Trafigura from Singapore, which was working with Sakunda Holdings," he said. Government has said it was developing a long-term model that would ensure multiple fuel importers source their own foreign currency and ease the burden on allocations from the central bank. On the fuel shortage the country experienced recently, Dr Gumbo said: "What has caused the shortage that you experienced is that internationally the price of fuel went up and after it went up, the money that Mangudya (RBZ Governor) used to give to oil companies to buy the fuel from Mabvuku and Msasa was now not enough to buy the same quantity of fuel. "If we were using $20 million to buy 400 million litres now that $20 million is buying 250 million litres, so already you have created a shortage because you are not buying enough." He said the fuel supply situation in the country has also been exacerbated by the fast approaching agricultural season as farmers need a lot of fuel. "On top of that we have got artisanal and small-scale miners who also use a lot of fuel," Dr Gumbo said. The Msasa depot, he said, has a carrying capacity of 360 million litres and the country up to September was consuming 2,5 million litres of diesel per day and 1,5 million for petrol. Dr Gumbo said Government's latest data showed that the country was now using about 4,1 million litres of diesel per day and 3,8 million litres of petrol. Meanwhile, Finance and Economic Development Minister Professor Mthuli Ncube has said Government will soon invite investors to create a "regional fuel dry port" at the Mabvuku Loading Gantry and Msasa Depot storage facilities. It is also hoped that an additional pipeline could be built from Beira to the fuel storage facility in order to increase capacity.